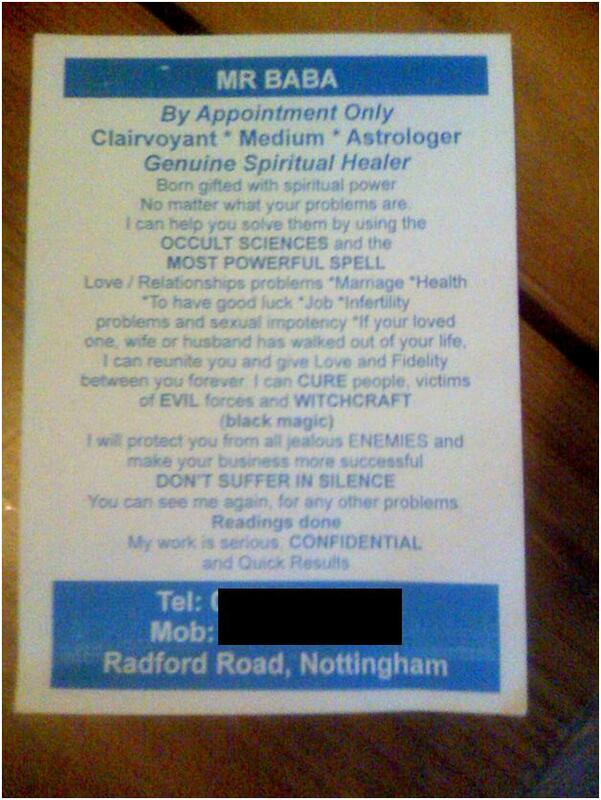 … this came through our letterbox today. Well… it says “Genuine”. I’m convinced. Should swine flu close churches? A large church here in Nottingham has taken the decision to suspend their Sunday meetings this week after a member of their office staff caught swine flu. There have been an increasing number of cases in the East Midlands over the past two weeks, though as far as I can gather there are still fewer than a hundred people in the region (population 4.2 million) affected. I have to say my initial reaction was disappointment – I don’t think that an outbreak of swine flu should close a church; though I can see why the church in question might have taken the decision they did. At a stage where the health authorities are trying to quarantine cases of swine flu, as in the East Midlands (unlike in the West Midlands where containment is now impractical) it could be seen as selfish for Christians to put the community at risk by holding large public meetings when there is a known case of swine flu in the congregation. But I think it’s only really possible to see it as selfish if a church service is viewed as being a social gathering, like a social club meeting – but this is not what a church service is. A church service is somewhere where the word of God should be being preached and where people can worship him together in a visible expression of the Church’s unity in Christ. As such, the church service also serves the community by providing an opportunity for people to hear the gospel proclaimed. I don’t think this should be cancelled because of a comparatively mild virus. In fact, I don’t think it should be cancelled even in the case of an epidemic with a high mortality rate, because dying prematurely through disease is not the worst thing that can happen to people. Dying not right with God is the worst thing that can happen to people, and cancelling the most obvious public proclamation of Christ, who makes us right with God, would be perverse in a situation where mortality was increasing due to disease. Perhaps suspending church services (even if done with the motive of appearing unselfish) gives the wrong impression to the community of what Christian priorities and attitudes to death are. Does it not say that spiritual health is less important than physical health; when this is not so? Does it not say that sin is a less serious illness than swine flu? And perhaps worst of all, does it not undermine the Christian claim that Jesus has defeated death and that those who trust in him have nothing to fear from it? The most of our brethren were unsparing in their exceeding love and brotherly kindness. They held fast to each other and visited the sick fearlessly, and ministered to them continually, serving them in Christ. And they died with them most joyfully, taking the affliction of others, and drawing the sickness from their neighbors to themselves and willingly receiving their pains. And many who cared for the sick and gave strength to others died themselves having transferred to themselves their death. And the popular saying which always seems a mere expression of courtesy, they then made real in action, taking their departure as the others’ ‘offscouring’. … let us imagine ourselves in their places, faced with one of these terrible epidemics. Here we are in a city stinking of death. All around us, our family and friends are dropping. We can never be sure if and when we will fall sick too. In the midst of such appalling circumstances, human beings are driven to ask Why? Why is this happening? Why them and not me? Will we all die? Why does the world exist anyway? What is going to happen next? What can we do? If we are pagans, we probably already know that our priests profess ignorance. They do not know why the gods have sent such misery – or if, in fact, the gods are involved or even care. Worse yet, many of our priests have fled the city, as have the highest civil authorities and the wealthiest families, which adds to the disorder and suffering. Another advantage Christians enjoyed over pagans was that the teaching of their faith made life meaningful even amid sudden and surprising death … [E]ven a shattered remnant of survivors who had somehow made it through war or pestilence or both could find warm, immediate and healing consolation in the vision of a heavenly existence for those missing relatives and friends … Christianity was, therefore, a system of thought and feeling thoroughly adapted to a time of troubles in which hardship, disease, and violent death commonly prevailed. the just are dying with the unjust, it is not for you to think that the destruction is a common one for both the evil and the good. The just are called to refreshment, the unjust are carried off to torture … How suitable, how necessary it is that this plague and pestilence, which seems horrible and deadly, searches out the justice of each and every one and examines the minds of the human race; whether the well care for the sick, whether relatives dutifully love their kinsmen as they should, whether masters show compassion for their ailing slaves, whether physicians do not desert the afflicted … Although this mortality has contributed nothing else, it has especially accomplished this for Christians and servants of God, that we have begun gladly to seek martyrdom while we are learning not to fear death. This kind of attitude is the one that the gospel fosters in Christians. Disease and death are not to be feared, but constitute an opportunity to prove both the genuineness of our faith and that the Christian way works. In response to the swine flu pandemic, we modern Christians have a choice of whether to “flee the city” and cancel church meetings as Roman pagans would have done, or to be as transformed by the gospel as these early Christians were, and to remain fearless of disease, knowing that our inheritance in heaven is secure and that God is in control – and to continue to proclaim the gospel to the community around us, and minister in Christ to the sick, even if it means we ourselves suffer as a result. May God grant us all the strength to witness faithfully to the gospel if swine flu does get severe, and may his perfect love cast out all fear.